Sell Us Your Pre-Loved Wardrobe! We purchase women's and juniors clothes 00-plus sizes, shoes,and accessories. We base our decision on how well the item(s) can sell for us, style, and condition. Fast Easy Way To Get Cash For Your Wardrobe! Your Trade Credit Never Expires! Buying ALWAYS stops 1 hour before closing! After selling your clothes you have a option to leaving it to us to donate any clothing items you choose not to keep. 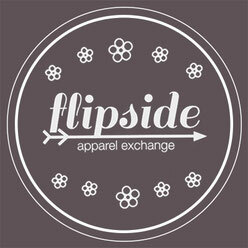 Flipside makes clothing donations to the local Eugene and Springfield area. Resource centers include Womens Space, Catholic Community Services, and the Eugene Mission!